They bought around 55 acres of unused and abandoned land from the farmers who were not using it due to excess of rainfall in Kodagu district of Karnataka. “We make sure that we don’t interfere with these animals. Elephants are very important for regeneration of the forests as they swallow the seed completely without breaking it, unlike other species. 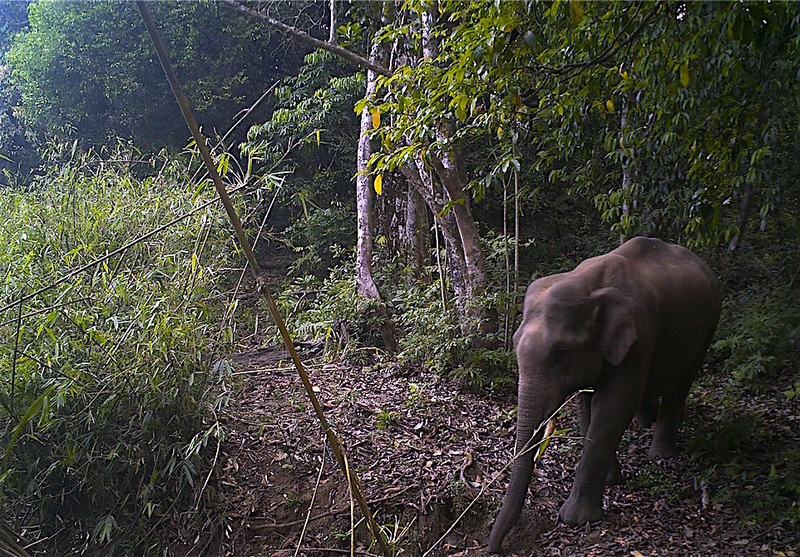 Around 30 species of trees totally depend upon elephants for regeneration,” says Pamela. “People think that animals need the forest. But the truth is, the forest needs the animals equally. 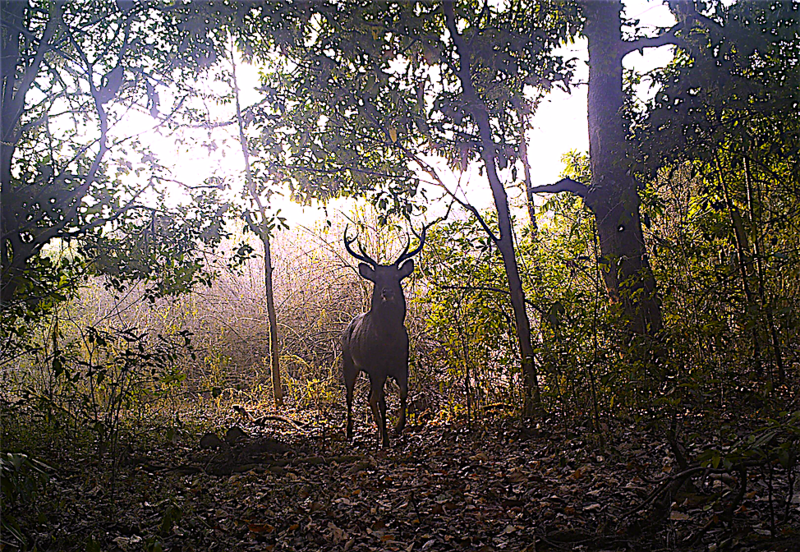 While the forest helps animals in providing shelter and food, animals help forests in regeneration – they are both inter-dependent and we should make efforts to preserve both,” says Dr. Anil. “A few days ago, I saw in the camera recording that a family of wild dogs and seven small puppies from that family were trying to attack a Sambhar just in front of my house gate. They were born a few days back and now had grown up. So, the fact that each puppy survived is commendable. That means the sanctuary is a good host to all these wild animals,” says Pamela. The duo makes sure that they do not interfere or disturb the existing eco-system. “Even the dead wood provides nutrition to the soil,” says Pamela. “We also make sure that people who visit here are responsible tourists. We only take those people who are actually interested in exploring the beauty of nature. Smoking and drinking is not allowed as it disturbs the animals and the overall air which is so pure,” says Pamela. “To avoid any mishap, we don’t allow people to walk alone here. There is always a guide or we accompany the visitors ourselves,” says Pamela. Pamela and Anil also advice people to be careful about the lifestyle they follow. Eating organic food, recycling things, using more energy-efficient devices are some of the basic things they advise everyone to follow. “When I carried buckets of water in the Himalayas, I realized how precious it is. We should not waste it. It is only when we face problems we realize importance of things,” she says. “For anyone who wants to bring a change, we advise them to set one single goal and believe that they can achieve it,” says the couple. This is an appeal (below) that Pamela and Anil Malhotra have made to all wealthy Indians to save our forests, wildlife and fresh water sources. They are even willing to help anyone who is willing to try. This letter is a ‘Wake Up Call’ for all CEOs to pay serious attention to the gravest crisis facing India, that is, the fast depletion and disappearance of our fresh water sources, mainly due to deforestation. Our streams and rivers that originate from forests are drying up and even mighty rivers such as the Ganges in the North and Cauvery in the South are less than 50% of their size, mainly due to deforestation in their catchment areas. My wife and I have set up a private Sanctuary in Coorg, of approximately 300 Acres in Theralu Village next to the Brahmagiri Wildlife Sanctuary. Our registered nonprofit 80-G approved NGO – SAI Sanctuary Trust – just won the Wildlife and Tourism Initiative of the Year Award – 2014 for Eco-Tourism that protects forests and wildlife. Without wildlife there would be no forests at all as they perform crucial activities such as pollination and propagation of the trees and other flora in the forests. Elephants are a good example as up to 30 species of trees rely on them exclusively for propagation of their seeds since no other wildlife can swallow them whole. Birds are not only essential pollinators and propagators of flora, but also help protect our health. Swallows for example eat over 2000 mosquitoes per bird every day helping to prevent diseases such as malaria, dengue, chickengunia, etc. – diseases now common in cities like Bangalore since the habitat of birds and bats are being destroyed. A garden city such as Bangalore has no water when borewells are dug up to and over 2000 feet due to the destruction of forests in and around it. With the destruction of the forests has come the loss of our fresh water sources as it is the forests themselves that produce over 50% of all rainfall. This is due in part to the process of evapo-transpiration where underground water is drawn through the roots of the trees up to its branches where it is exuded back into the air as moisture setting up raincloud formation. In addition, the plants and trees of the forest ‘seed’ the air in order to help raindrops form. When the rainfall occurs, the roots of the trees act as sponges to soak up excess water thereby preventing floods, with this same water being slowly released back into the ground by the trees during the dry season thereby ensuring fresh water year-round. Hence, no trees means no evapo-transpiration or seeding of clouds for rainfall. No rainfall means droughts such as the ones we have seen over much of India in recent years including Maharashtra, Orissa, UP, Bihar and all of south India. No trees also means no ‘sponging up’ of excess water when rains do fall with devastating flooding being the result. Climate change and global warming can only be ignored at our peril. We are close to climate warming by 2 deg C. Once the tipping point is reached, water from melting polar icecaps and glaciers will cause oceans to rise a minimum of 20 feet. More frequent and severe weather like cyclones and cloudbursts on the one hand and severe droughts on the other will also ravage our country and the planet as a whole. In the U.S. the private industry has woken up to this danger and is therefore funding certain NGOs such as Nature Conservancy to acquire thousands of acres of privately owned forest lands to protect these watersheds and the vital fresh water sources (such as streams and rivers) found on them. 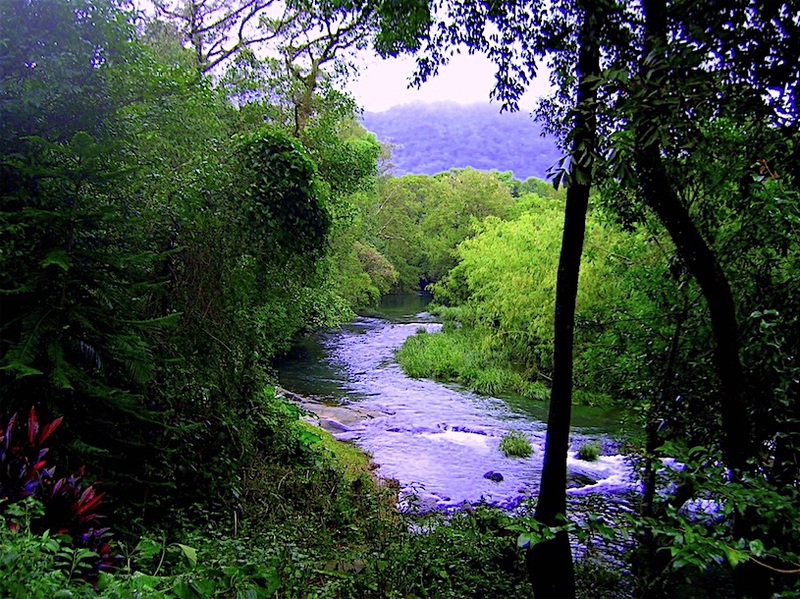 Kodagu or Coorg is in the heart of the Western Ghats from which fresh water originates for all of south India. But deforestation in Coorg has reduced the forest cover from 86% in the late 1970s to a mere 16% today endangering fresh water supplies for the entire south Indian peninsula. 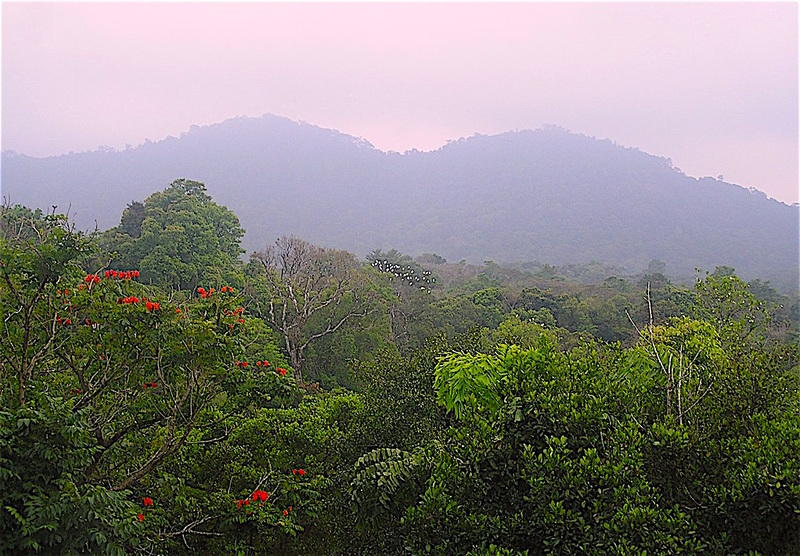 Please help us form a Nature Conservancy to acquire critical forest areas with monies earmarked from your CSR budget to be used for nonprofit NGOs to acquire critical forest areas privately owned before they are also cut down. We would be more than happy to assist in identifying such areas – HP and McAfee have recently given millions to the Forest Department to protect elephant and wildlife corridors. However in our opinion giving to the Government may or may not have the desired result. Privately owned forest areas where the landholders can directly manage and protect the lands is the way to go. We hope to have you visit us personally to see for yourself how critical and urgent it is to save our forests and wildlife. For without fresh water no business nor industry is going to last. There isn’t much time left. The time for Action is NOW. When we leave our bodies we cannot take the wealth we have with us. But let us at least be able to breathe fresh air and drink fresh water while we are on Earth and in our bodies, not to mention helping to secure a living future for our children and generations to come. Miracles do happen and if the leading industrialists of India lead the way along with small people like us who have set up a practical model, then India still has hope and others will follow. that is just an awesome and inspiring article. Thanks!